Why There Are so Few Generic Asthma Inhalers? If you or a family member have asthma, you know how pricey inhalers can get. You may be wondering if there are cheaper, generic alternatives to your current inhalers. As of autumn 2018, there are only two generic asthma inhalers on the market. Teva's Levalbuterol Tartarate Inhalation Aerosol, a Xopenex HFA generic, was the first in 2016. It's a rescue inhaler, meaning it's meant to be used only during an asthma attack. It contains a generic form of levalbuterol, the active ingredient in non-generic Xopenex, and is just as effective as the non-generic, but at a lower cost. Levalbuterol is a good alternative for people who are sensitive to albuterol and may experience an increased heart rate or shakiness after inhaling it. In 2017, Teva launched a dry powder corticosteroid inhaler, similar to Advair, called AirDuo RespiClick, as well as a generic for it. Both inhalers are intended for people ages 12 and older and are made of fluticasone propionate and salmeterol inhalation powder used for the therapeutic maintenance of asthma. If you don't want the generic version of either Xopenex or AirDuo RespiClick, make sure your doctor writes a prescription specifically for the non-generic formula, as your insurance might default to the generic. Other than the generics for Xopenex and AirDuo RespiClick, as of late 2018, there no other generic asthma inhalers on the market, either as rescue inhalers (inhalers you use during an asthma attack) or controller medications (inhalers you use every day to manage asthma and symptoms). Since the transition to HFA-based propellant inhalers, most generic albuterol inhalers are no longer available. Albuterol is now only available in ​multiple brand-name versions, including Proventil, ProAir, and Ventolin. Controller inhalers for asthma, which are used to prevent symptoms of asthma, are only available in brand name versions, with the exception of generic AirDuo RespiClick. There are a number of inhaled steroids available for maintenance therapy, including Flovent, Asmanex, QVAR, Alvesco, and Pulmicort. Inhalers that combine inhaled steroids and long-acting bronchodilators, such as Advair, Symbicort, and Dulera, are also only available in brand name form. Nebulizer solutions for asthma, as both rescue and controller therapies, are available in generic versions. Albuterol nebulizer solution is available only as a generic medication. Budesonide is the generic version of Pulmicort Respules, an inhaled steroid used as a controller therapy for the treatment of asthma. Budesonide is available as a generic nebulizer steroid solution, as well as in brand name form. Ask your doctor for samples or manufacturers' coupon that can bring your copay down. Call your insurance company and ask for the prices of other rescue inhalers or control medications. If your insurance has a medication they prefer you use, ask your doctor if your prescription can be changed to the lower-priced drug. Look at the website of the pharmaceutical company that makes the inhaler and see if they offer a savings plan or discounts to those who cannot afford the prescription or do not have adequate insurance coverage. Teva. Levalbuterol Tartrate HFA Inhalation Aerosol . Teva. Teva Launches AirDuo™ RespiClick® and its Authorized Generic, Two Inhalers Containing Fluticasone Propionate and Salmeterol. Published April 20, 2017. Is Xopenex better than Albuterol for Treating Asthma? Is Advair Safe for Allergies? 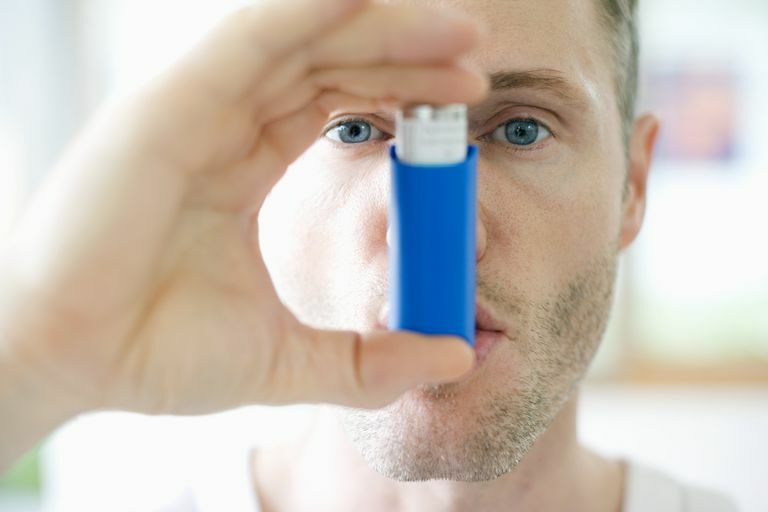 Is an Albuterol Inhaler Your Best Option for Asthma Treatment? Is It Time to Remove Advair's Black Box Warning? Can Electronic Cigarettes Cause Someone to Have an Asthma Attack?